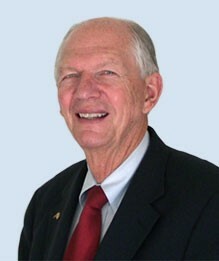 William C. Nelsen, Registry member since 2004, has served American higher education as a university president, seminary president, vice president for university relations and development, academic dean, board member, university minister, and president of a national scholarship organization. His career has included positions as vice-president and academic dean of St. Olaf College (MN), president of Augustana University (SD), University Minister and Interim President at Midland University (NE), and president for eighteen years of Scholarship America, building it into the nation’s largest private sector scholarship organization. As a member of The Registry, he has served in interim positions at North Carolina Wesleyan College and Tennessee State University, and most recently he served for two years as Interim President of Episcopal Divinity School (EDS), Cambridge, MA, providing leadership to forge an innovative affiliation agreement with Union Theological Seminary in New York City, assuring long-term financial and academic stability for EDS to serve church and society. He earned his bachelor’s degree from Midland University, his master’s in religion and ethics from Columbia University and Union Theological Seminary in New York City, and his Ph.D. in political science from the University of Pennsylvania. He also studied theology at Luther Seminary, St. Paul, MN, and as a Fulbright Scholar in Germany. In the past ten years, in addition to his work in higher education, he has served as a pastor in congregations in the Southwestern Minnesota Synod of the Evangelical Lutheran Church in America. Currently he serves The Registry as Senior Consultant, focusing on the Registry’s service to theological seminaries and church-related colleges and universities. Dr. Nelsen is the author of numerous books and articles in the fields of higher education, religion, and government. Throughout his higher education career he has served on a variety of national boards, including the Council of Independent Colleges, the Lutheran Educational Conference of North America, the Council for Aid to Education, and the Association of American Colleges and Universities. He is a recipient of the prestigious McKee Leadership in Education Award.